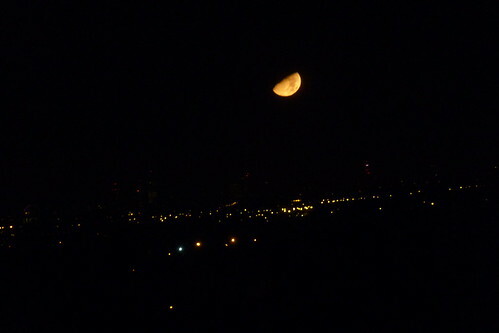 I found the sight of a large half-moon over London too tempting not to try and photograph. After my last post about my camera (see here) I’ve come to the conclusion that I really miss it not having a manual focus as well. Still, managed to get a few half-decent photos out of it tonight.